General question do you snag newsstand copies of hot books or just skip em? Do you grab newsstand edition copies of hot books or just pass em? crap, sorry for the double post, tried first time on phone and I couldn’t see any visible comments when I got home until after I made the 2nd post. For the most part I don’t see any newsstand variants for new books. Maybe its because I’m In Canada and Canada doesn’t have the same disruption as the US, I’m not sure. I’ve searched through book stores and convenience stores looking and have always come up short. I strongly believe that for most newstands and second/third print variants – the value will go up but only after at least three to four years when people realize how rare they are. I went back this morning and scooped up those 2 copies of Catwoman # 23. Still selling for $7 – $15! 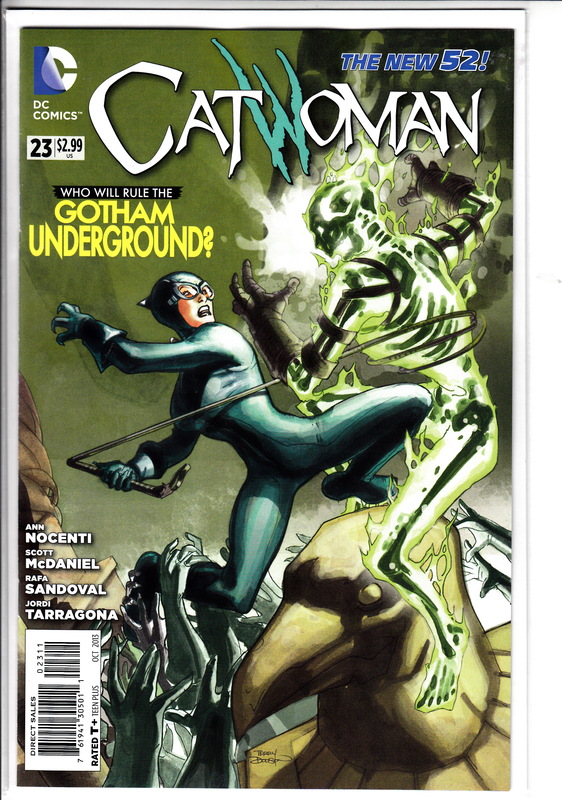 I saw a pair of Catwoman # 23 in a B & N earlier today, should have picked them up, gonna swing by later tonight.